One of the restaurants here in Cebu that always makes me proud is Cafe Georg. 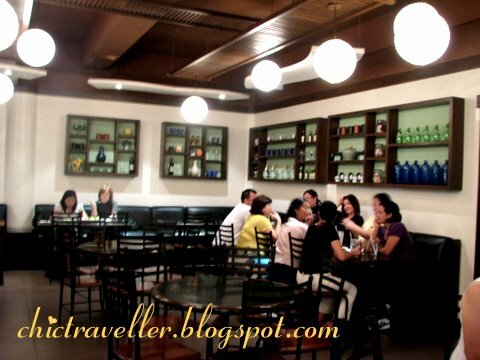 Located in Banilad Road in Cebu City, Cafe Georg offers a unique selection of dishes that would surely satisfy anyone's palate. On your first visit, you'd probably see Cafe Georg packed full with people on lunch or dinner time. The place is simple and unassuming, but it oozes with good taste. You'd see black steel chairs with some couches on the side, and an glass-enclosed area on the right side for small functions. Empty wine bottles decorate the wall, giving the cafe a bit of a personal feel. Mango Tahini Salad. 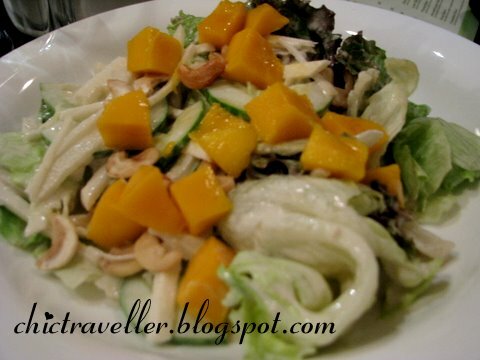 A unique mix of salad greens, cucumber, mango and cashew nuts. Bolognara Pasta. 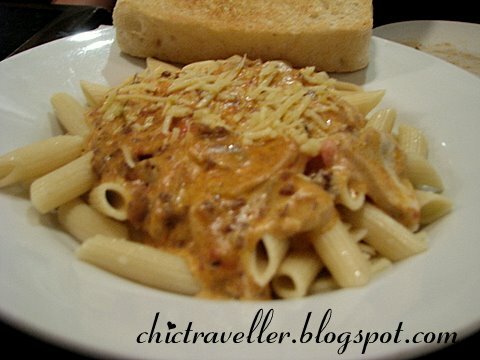 A combination of carbonara and bolognese pasta. Spinach and Cheese Dip. 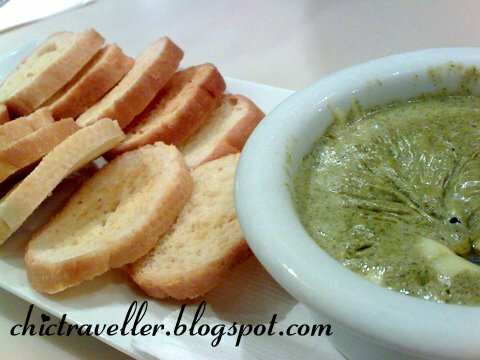 A delicious cheese dip laced with spinach flavor for your toasted bread makes a wonderful appetizer. There are lots of dishes to choose from. You could also try Chicken Pot Pie, Neopolitan Fish, Singaporean Style Fish, and many more. Every so often they cook up with new dishes to make their customers come back and look for more. The prices for their dishes are very reasonable. They range from Php150-200 only. Click here to see more of Cebu's best restaurants.